Located in Broward County, Miramar is a destination for tourists and local visitors. It is home to the Seminole Hardrock and Casino; a rock ‘n roll wonderland lavished with live music, dining bars and never-ending activities. Coupled with family-fun adventures and venues like the Everglades Holiday Park or Greynolds Park, Miramar is close to many attractions while being a desirable residential community. There is nothing more disconcerting than living in a city where an invasion of your private property may arise. A key priority is the safety of your family and belongings. 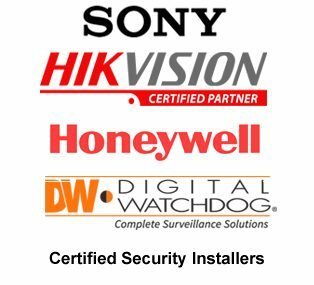 At Hi-Tech Security, we have the technology to transform your residence into an advanced security system for that 24-hour surveillance you deserve. Regardless of the camera you choose, a Miramar expert will guide you through the features and benefits each camera provides. With a CCTV, you will have the power to monitor, access and control your residence or commercial business from virtually any digital device in the world with internet access. Digital Video Recorders (DVR) and Network Video Recorder (NVR) are the two most operable storage systems available. Enjoy the of ease of property maintenance and the assurance of your safety. At Hi-Tech Security, we understand the importance of protection. Since 2005, we have developed a reputation as a trusted brand, servicing many residential homes and commercial businesses throughout South Florida. We are loyal to our customers, offering a lifetime of technical support. We follow all NEC (National Electrical Code) standards and are certified, low-voltage contractors. Call us today, at 954-394-2292 or contact us online for a free quote and consultation.